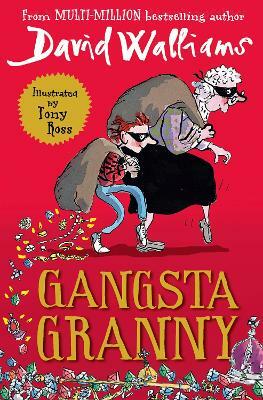 Another hilarious and moving novel from bestselling, critically acclaimed author David Walliams, the natural successor to Roald Dahl. A story of prejudice and acceptance, funny lists and silly words, this new book has all the hallmarks of David's previous bestsellers. Our hero Ben is bored beyond belief after he is made to stay at his grandma's house. She's the boringest grandma ever: all she wants to do is to play Scrabble, and eat cabbage soup. But there are two things Ben doesn't know about his grandma. 1) She was once an international jewel thief. 2) All her life, she has been plotting to steal the crown jewels, and now she needs Ben's help!